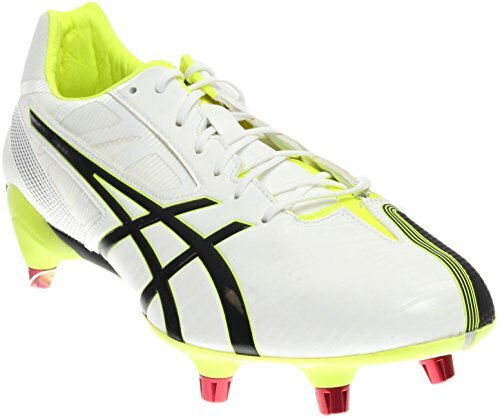 Depend on the high-performance construction of the updated ASICS� GEL-Lethal� MP5. Featuring the HG10mm� heel set-up with a higher upper height, this multi-sport, cleated men's shoe enhances the foot's natural gait with a Propulsion Trusstic System for high-speed stability. The 10mm heel gradient shifts body mass forward reducing strain on the lower limbs. Rearfoot GEL� cushioning absorbs shock and enhances comfort; the compression-molded EVA midsole lends support.